I learnt this from my mama’s wife Namitha mai . We used to hear from our mamu (uncle) that mai prepare it the best. Today I thought to try her method of hinga phovu. Just called her and ask the recipe, prepare it for evening snack with sev and banana. Really tasty. Thanks mai for good recipe. Dry roast coriander seeds, red chilly, salt and hing powder fry till nice aroma comes, let it cool for sometime. 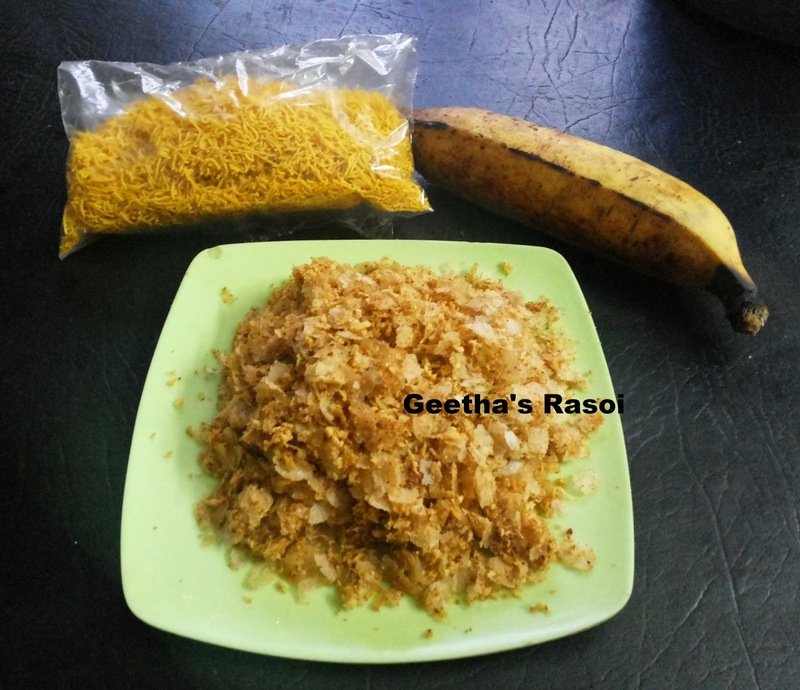 In large bowl add grated coconut and powdered masala mix well with hand. Then add phovu(beaten rice flakes ) and mix well. Now it is ready to serve as snack. Good combination with sev and banana.